was among more then 700 attendees, including piano service specialists, manufacturers and suppliers, who attended an international convention and educational institute June 26-30th. The 53rd Piano Technicians Guild Convention and Technical Institute feature classes, award ceremonies, a trade show and entertainment. The overall impression? Optimism about the future of the piano industry. A sold-out trade show included piano manufacturers and other industry related companies showing off the latest piano models, supplies and tools. Convention attendees were treated to concerts, receptions, breakfasts and luncheons. Major sponsors included Abel Hammer, Brooks LTD., Kawai, PLC Insurance, Reyburn CyberTuner, The Randy Potter School of Piano Technology and Yamaha. The 2011 Piano Technicians Guild Convention will take place in Kansas City, Mo. 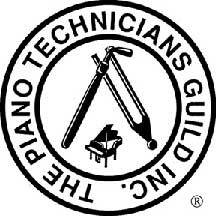 The Piano Technicians Guild is the world’s premier source of piano service expertise. It promotes the highest possible standards of piano service by providing opportunities for professional development, by recognizing technical competence through examinations and by advancing the interests of its more then 4,000 members. *The Piano Technicians Guild grants the Registered Piano Technician (RPT) credential after a series of rigorous examinations that test skill in piano tuning, regulation and repair.